In the House of Commons, Siobhain complained to Health Ministers after her constituent's life-saving Viagra prescription was suddenly stopped. 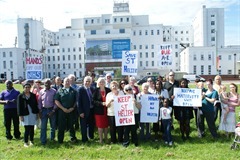 In a Parliamentary debate on closures to Accident and Emergency Units in London, Siobhain has again highlighted the threat to popular local hospital St Helier, which looks likely to lose it's A&E, Maternity Unit, and hundreds of hospital beds, as a result of the need to find £370m of savings in the local NHS. 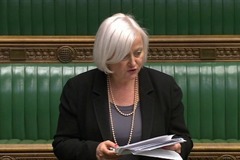 In a Parliamentary debate on policing, Siobhain has told fellow MPs about her fears for the future of the Neighbourhood Policing model that was introduced in the early 2000s. She fears a return to old-style policing, with officers in cars or offices rather than on the street. 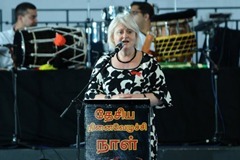 In a debate she called in Parliament about the UN's response to Sri Lanka's human rights abuses against Tamils, Siobhain has told MPs Sri Lanka should not be allowed to stage the next Commonwealth summit.